Visit the historic Point Hueneme lighthouse, located on the Port of Hueneme! 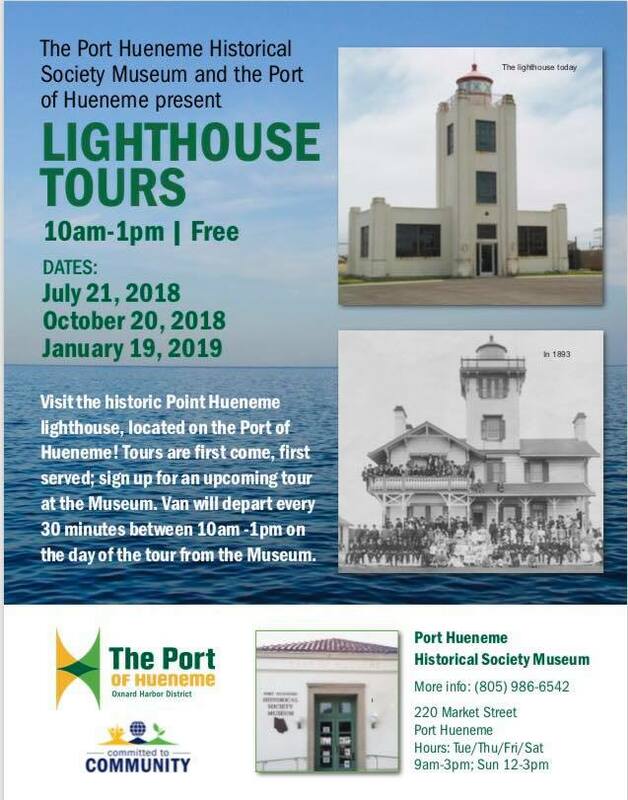 Tours are first come, first served; sign up for an upcoming tour at the Port Hueneme Historical Society Museum. Van will depart every 30 minutes between 10am – 1pm on the day of the tour from the museum. The Point Hueneme Lighthouse is owned by the U.S. Coast Guard and was constructed in 1941. The lighthouse is open for tours the third Saturday of the month from February through October from 10:00 a.m. to 3:00 p.m. (last tour is at 2:30 p.m.). Admission is free. For more information call (310) 541-0334 or visit their website.